More than 3,000 council-maintained road bridges in Great Britain are substandard. Analysis of data received from 199 of the 207 local highway authorities in England, Scotland and Wales found that 3,203 structures over 1.5m in span are not fit to carry the heaviest vehicles now seen on our roads, including lorries of up to 44 tonnes. The 3,203 bridges represent 4.4% (about 1 in 23) of the roughly 72,000 bridges to be found on the local road network. The number of substandard bridges is 35% greater than that estimated by the RAC Foundation to have been substandard two years earlier. If money was no object, then councils would ideally want to bring 2,110 of these back up to standard. However, budget restrictions mean councils only anticipate 416 of these will have the necessary work carried out on them within the next five years. The one-off cost of bringing all the substandard bridges back up to perfect condition would be around £890 million. This is the equivalent of £278,000 per structure. The total cost of clearing the backlog of work on all bridges – including those that are substandard – is estimated at £3.9 billion. Councils are currently spending just an eighth of that – an estimated £447 million – per year maintaining their entire bridge stock. When the local authorities were asked what the biggest challenges they expected to face in the next 10 years in maintaining their bridges; “funding” and “skill shortages” were commonly cited. 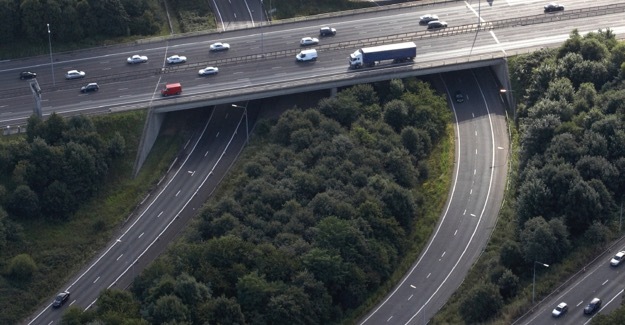 The survey of local highways authorities was carried out with the help of the National Bridges Group of ADEPT (the Association of Directors of Environment, Economics, Planning and Transportation).